Built in 2015 at IAG Yachts, the 41-metre motor yacht King Baby is the Chinese shipyard’s largest vessel to date. 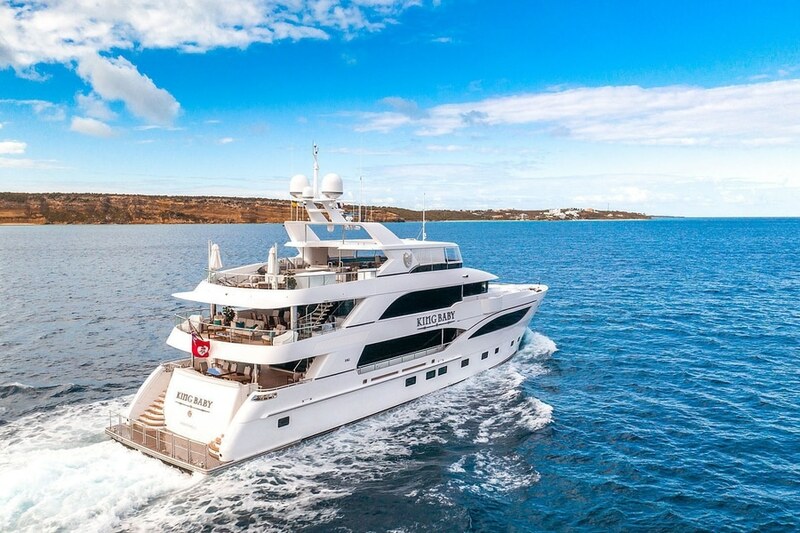 This GRP superyacht was built for an American family and has a generous 497 GT internal volume in order to accommodate the whole family, making her the largest composite motor yacht delivered in China to date. Inside, King Baby features a rock and roll inspired interior by Evan K. Marshall, including an authentic Fender Stratocaster guitar dipped in chrome. 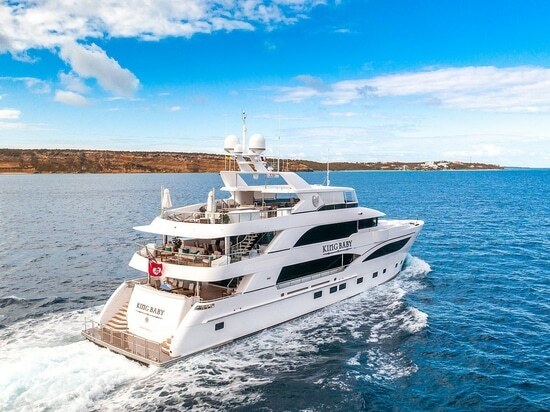 Here she is seen cruising past the Caribbean island of Anguilla.